Cheating! One of the biggest deadly sins of marriage - and the one thing that people almost universally say would be the ultimate dealbreaker. It is, without a doubt, one of the most gutwrenching and heartbreaking crises anyone ever has to deal with. Can you actually get past the pain? And then maybe even heal and thrive? 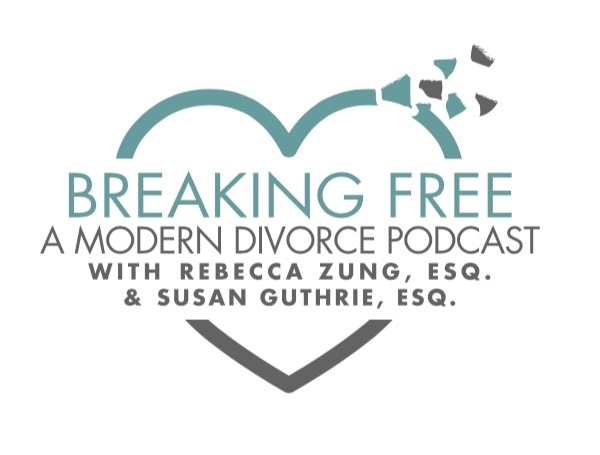 In this week's episode, Rebecca Zung, Esq. and Susan Guthrie, Esq. talk with Dr. Debi Silber, who knows the pain, shame, and hurt personally, as she had to deal with that in her own marriage. She then took that personal heartbreak and created programs and books designed to take people from being stuck in the trench of the anger, anxiety and exhaustion of betrayal, to learning how to break through and then break free. You can take Dr. Silber's quiz, that she referenced on the show, right here. And you can learn more about Dr. Silber right here.